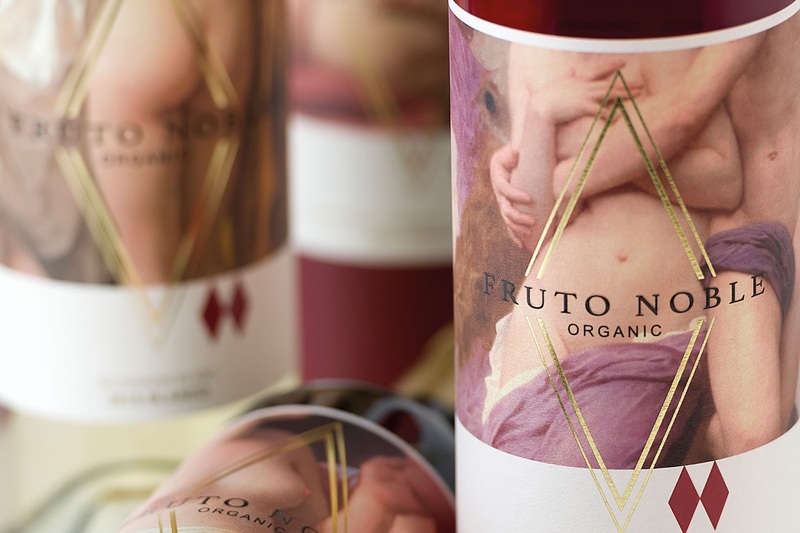 The concept line worked on the packaging of Fruto Noble is an elegant and sensual tribute to the love story between Bacchus (god of wine and fun, inspirer of madness, ritual and ecstasy) and Princess Ariadne (symbol of the soul and inspiration, the salvation that comes at the time of great adversity). 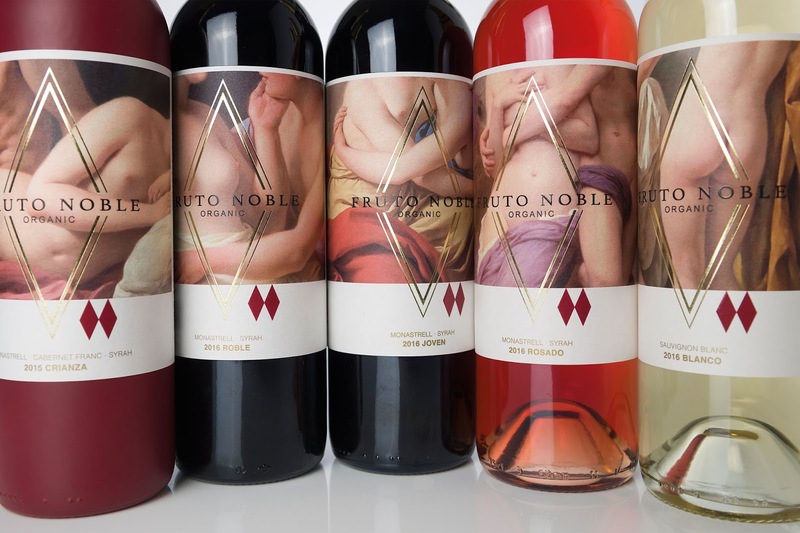 The passion and love between them is represented through beautiful fragments of paintings that also reflect the eroticism and the pleasure of the forbidden. The harmony of the elements and the color makes the whole convey a classic and innovative aesthetic. The garnet red bottle with matt finish gives a velvety and elegant appearance to the highest quality product in the range (Crianza wine). 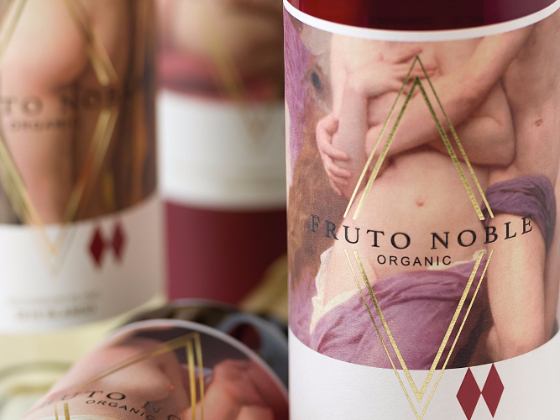 The labels are wraparound, with high-end Ispire Bianco Purezza paper by Arconvert, gold stamping and serigraphic relief. 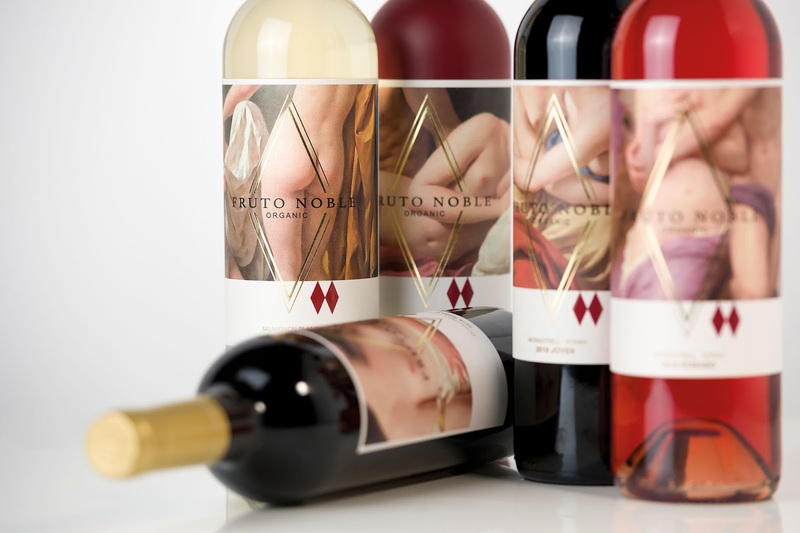 The different finishes enrich the result, giving the sight and the touch different sensations, with effects of reflection and volume when the light is projected on the packaging.